Click the button below to add the Acne Clear Face & Body Wash #Acne Face and Body Wash# to your wish list. No Benzoyl Peroxide, No Salicylic Acid, No Artificial Fragrance, No Mineral Oil, No Petrolatum, No Lanolin, No Perfume, No Artificial Colors, No Alcohol. 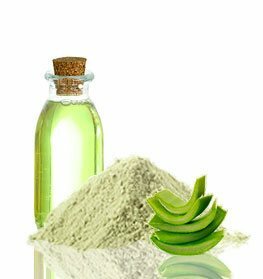 Aloe Vera works as a nutritive moisturizer and has antioxidant and antibacterial properties that hydrate and revitalize skin. Foraha Oil has cleansing properties that remove unwanted dead skin cells and leave a clean, moisturized feel. Castor Seed Oil is known for aiding hair growth, but it also helps cleanse skin and reduce blemishes thanks to the Ricinoleic acid it contains. Andiroba Oil is said to have anti-inflammatory properties with essential fatty acids that replenish dry skin and can help achieve clear skin. Tangerine Essential Oil builds a healthy moisturizer to keep skin soft without removing any natural oils from the skin's protective barrier. Wet skin first, then apply the Acne Face and Body wash throughout the skin and leave it on for 30 seconds to one minute. Rinse wash completely with warm water. • Avoid applying this wash to healthy skin. Use this product in areas where there are blemishes. • Wash sheets every few days to prevent your skin from getting more blemishes. • Avoid touching inflamed skin with dirty hands to prevent further irritation. I love every Just Natural product I have ever tried! Like a lot of people I feel like I have tried everything for my sensitive, breakout prone skin. After only a couple days these 2 products once again sold me on how effective Just Natural is. My face and back are clearing up, and new breakouts are way down and when I do feel a bump starting, its taking a lot less longer for them to quickly go away. This is a life saver when dealing with deep, painful, cystic type breakouts that leads to scarring. I plan on trying more from the breakout line and recommend it to anyone and everyone that knows these problems only too well! I was using benzoyl peroxide and when I stop it, my pimples came back aggressive. It’s been almost 1 months now since I am using this wash. My skin hasn’t suffered any negative consequences. So it looks like the natural ingredients are working nicely for me. I could see the results. Little bumps, and pimples with diminishing in size, and my skin looks smoother, cleaner, and softer. This face & body wash has not dependence and not allergic reaction. I do not have more breakouts; my skin is 90% better! I am still working on my diet but in the meantime this product has been a miracle! It probably doesn’t matter what type of breakouts do you have, this product is natural without any harsh ingredients, is safe and really gentle. I have used this wash for over a year now, every morning in the shower. I have truly noticed that my back breakouts as cleared up. I use to be very insecure about wearing open back dresses not having this wash has really given me back my confidence. What is great is that I do not have the normal breakouts like I use to, even if I miss a few days. I am male, 27yrs. I have oily face and body that does not seem to go with anything. My skin is so oily that it genuinely feels like wax. I have to wash it two or three times to cut the grease. I used many soaps and face washes for oily/breakouts skin. I feel I am a slave because I am always showering at day and night sometimes twice. On summer time it gets even worse. I don’t even socialize because to me I’m so gross to look at and I can always feel theses painful pimples on my face even without touching them. One month ago I started to use the breakouts clear face and body wash, the anti-bacterial body treatment and the body soap. My skin complexion changed dramatically and I don't even have to wash my face twice. My girlfriend believes that the natural ingredients in these products are allowing my skin to breath and heal itself. I don't know if this is true. I accidentally found this company. These products completely fixed my breakouts for good. I'm SO happy. I have tried every type of product that I could find on the market but none ever cleared up my skin. My boyfriend bought this breakouts face & body wash with the hope of making my skin better. I started to use this just to make him happy. I always believed that medications were those only things that could work. I was wrong, completely wrong. My skin is clear and breakouts free now. 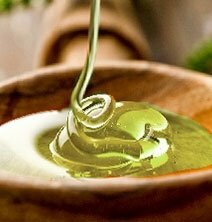 I am reading more and more about natural cures and how really amazing they can be. This wash is seriously amazing!!! After three pregnancies my back continues to break out. I never broke out before and always had very clear skin. My break outs on my back we’re more like little cysts. I tried everything. My back looked horrible bc I was constantly picking at it. After seeing this product on Pinterest and reading the reviews I figured I would give it a try. So glad I did!!!! I can’t go without it now!!!! My face feel so clean and refresh! I have tried different products for my face and this is the best face wash I have ever used. I use this for 3 days and my redness is gone and my breakouts are improving day by day. I have suddenly been dealing with a breakout & irritation on my chin & corner of my mouth recently. Red, itchy, bumps. I had tried everything. Use some of your other products already so I ordered this. Within 3 days the redness was gone and there was a 100% improvement in my skin. This is awesome !! My skin has never been clearer and softer! I tried every pill, cream and postion out there for the last 15 years... FINALLY, I thought I’d try a natural line (thinking it probably wouldn’t work or it would be too weak to work), but it has become my saving grace! This product HEALED my skin. Highly recommend going natural and using this product! I bought a bottle of this for strictly face wash (since that’s the only place I battle acne and I wanted to make it last), about 5 months ago and I still have half a bottle left! lol. I use it daily but a little goes a long way, it’s so gentle and it keeps my skin clear and glowing. Definitely worth it. This is a good skin care product. I have some oily skin problems. This helped that. It did leave my skin a little dryer then, I hoped..but my face never peeled or got irritated. Which was an over all, better experience. I even tried it on my hair as a shampoo, and wow, I was impressed. Winter itch gone. Hair felt clean and came out shiny. I tried and tried and tried all kinds of products. I researched and researched...... only to stop dead in my tracks with this product! Hands down changed my life! I have gotten 6 other people hooked on it as well. Noticed a difference in my complexion just a few days after using it. I’m really in love with this product and this company!! A little goes a long way. My husband also now uses it as well saving us money and room in our shower.